A big space with business customers and very cheery staff. Their mantra is “Fast, Fresh & Friendly”. Some nice graphic elements (hand painted lettering) if you are into that sort of thing (I am). Big smiles and a big feed. A good place to take clients to for a bite, coffee and a little work. Braised beef cheek sandwich, juicy and tender. Some of the nice looking cabinet food. Client meetings with good food. Breakfast and lunch office workers. 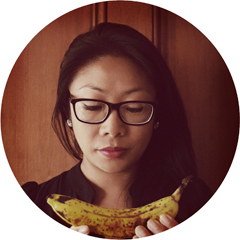 The menu is short but evolving. Healthy and raw options. Heaps of cabinet food. Plenty of vegetarian options. It looks like you had like 3 fries with that massive burger? 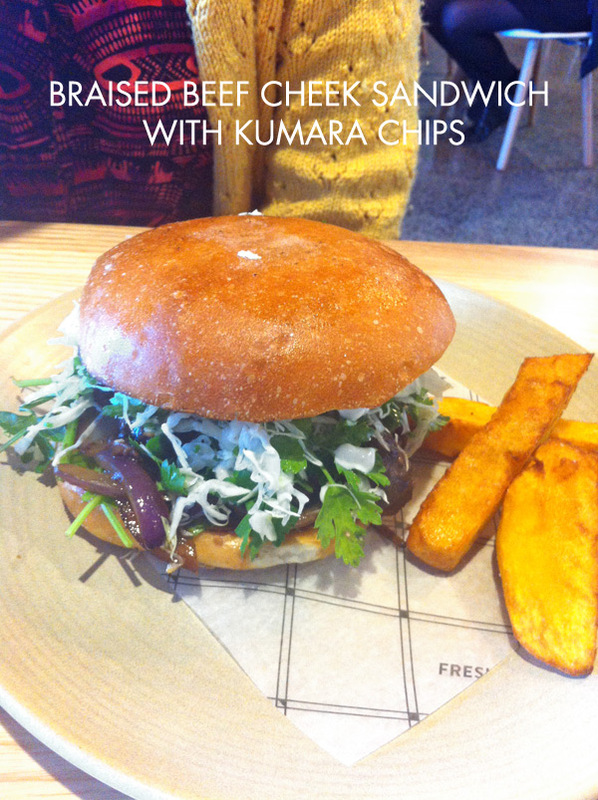 Yes, 3 chunky kumara chips came with it. Trust me, for lunch this was enough. I love the look and sound of the bean Ragu and polenta. It was pretty delicious and rich for a meatless dish. I looooove Welcome eatery 🙂 lucky it is just around the corner from my work. Food there is soo good! 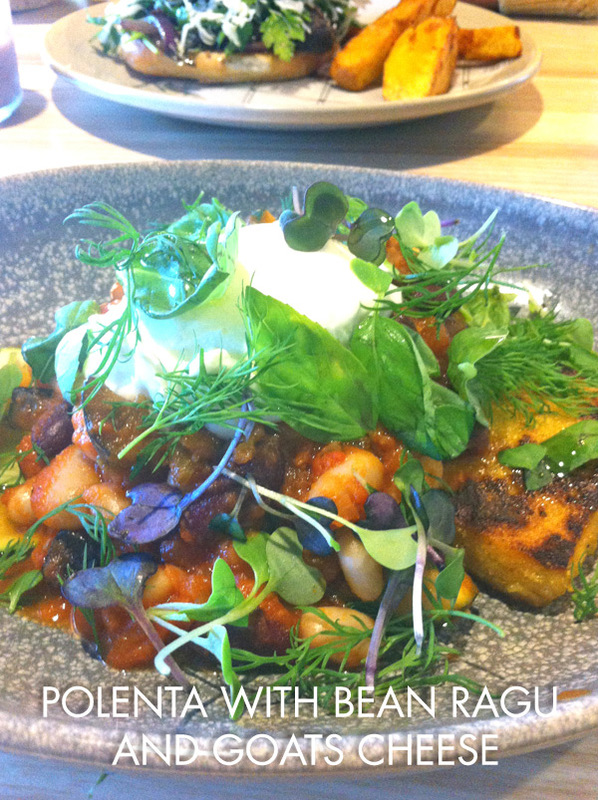 I tried polenta with beans ragu last time too, delish! Ummm…without sounding stalkerish, Welcome Eatery is around the corner from my work too. I really like the beef cheek sandwich. Way too much food for lunch, but really good. Hehe 🙂 I was really tempted to go there for lunch today, but rain put me off a bit. Also I totally agree that it’s a good place for meetings. Very nice vibe and great staff.